2. Navratri is celebrated five times a year, and it is always celebrated nine days at a time. The months of celebration include March/April, June/July, September/October, December/January and January/February. The Navratri currently being celebrated is known as Sharad Navratri, also known as Maha Navratri (The Great Navratri). For the most part, each Navratri celebrates the Hindu goddesses. 3. Navratri also celebrates the welcoming of Spring and Autumn. 4. 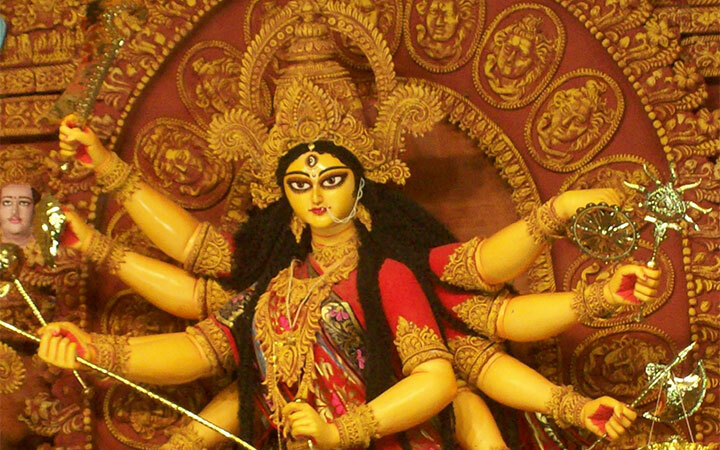 Shakti or feminine power is celebrated or worshiped during the sacred time of Navratri. This includes, but is not limited to major Hindu goddesses, such as Durga and Kali. 5. The end of Navratri, or the tenth day, marks Dusshera. Dusshera is celebrated as the day Lord Rama defeated the demon King Ravan in Lanka, which is described in detail in the holy Hindu epic, Ramayana. The tenth day is celebrated around the globe by setting extremely large “Ravanas” on fire, representing the conquering of good over evil. According to the epic, following this victory Lord Rama, Sita, Lakshman as well as Lord Hanuman traveled back to their kingdom of Ayodhya. For Interesting Videos Watch Our Channel on YouTube. We are Ad Film Makers in Mumbai , If you need ad films then please let us know.